In Perfumery terms we refer to the heart note, or middle notes, as the scent of a fragrance as it evolves from the initial hit of the top notes. As the first fragrance impression dissipates the next progression is the heart of the perfume followed by the lingering base. The heart notes represent an important turn in a well constructed perfume and are often where the soul of a fragrance can be found. In garden design a tree, like the middle note of a perfume, provides the heart of a landscape design. California offers a wide variety of splendid native trees which are beautiful, provide habitats for wildlife, offer color and fragrance as well as shade. Now in January is when some of these trees lose the last of their leaves and provide interesting structural forms in the landscape. The leaf litter is rich in nutrients. Instead of gathering up decomposing organic matter provided by nature, use the leaf matter as mulch. Oak and pine are ideal for this purpose. Mulch is beneficial in the garden because it helps retain soil moisture, moderates soil temperature, suppresses weeds and adds natural beauty to garden. On our property we have a bounty of native oaks including the Quercus agrifolia, coastal live oak and Quercus lobata, valley oak. As you will notice, the palm tree which regrettable has become emblematic of the City of Angels, is not on the above list. Here in the wooded hills of Los Angeles our native oak grooves are being disseminated for the purpose of housing developments, McMansions and just plain ignorance. In many cases old oaks will be removed and replaced by non native palms. The palm provides a specific appeal to those wanting to create a fantasy location such as the middle east or the tropics. Palms provides little to no shade and do not contribute to native biodiversity. This month we will be speaking out to protect a few grooves in our local woods. To learn more about California native plants visit the Theodore Payne Foundation where you can purchase a few woody specimens as well as learn all about the delight of California flora. Save Oak Savanna provides support and is hard at work protecting wildlife, open space and native oaks as well as informing, organizing and educating the local community. I created the Californica series of perfumes in an effort to contribute to spreading the word on native plants and facilitating consciousness to this realm. Each of these perfumes hold the intention to evolve the consciousness of humans to the value of the plants, specifically those that are native to the California biome. "Q"(for Quercus agrifolia), was the first in this series, followed by Chaparral™ and Sierra. 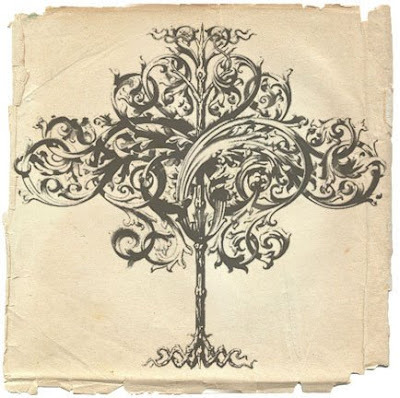 Thank you to Lili Singer of the Theodore Payne Foundation for her article titled "Native Trees, Please" in the Poppy Print Winter 2009 issue. Her contribution was the inspiration for this post and provided much of the valuable knowledge. Please refer to her article for more in depth information about native trees. 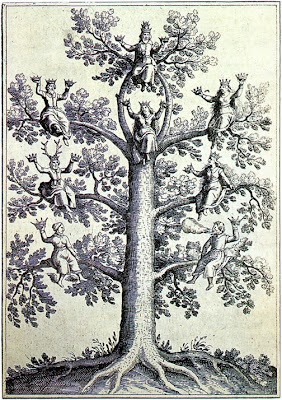 The image of the Philosophical Tree is by J.D. Mylius created in 1628. 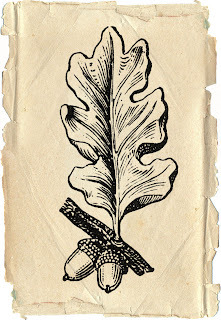 Old oak leaf engraving was placed on of parchment using photopshop, Tree image is ©Greg Spalenka. This is very interesting! I know a perfume's going to be a classic for me if, a few minutes after applying it to my breastbone, it warms up to the point where it's *almost* burning. So it seems there might be a physical heart note as well. Welcome to this journal. Gosh a perfume warming up to the point of almost burning is something I have not experienced. I do know that some essential oils are caustic to the skin and may feel this way...especially to mucous membrane. Everyone is different though and I am sure that sensitives will experience this warming aspect you speak of. One of my dear friends sees colors when he smells my perfumes and essences. It's so much fun to sit him down and listen to his colorful encounter with the aromatic realm. Thanks, Roxanna--I see perfumes in colors, also! Your friend is the only other person I've heard of who does that. Very cool.